The metal recycling market has fast established itself as a lucrative avenue for several stakeholders including scrap traders, recycling companies, and forging companies. The process of recycling encompasses recovery of metals from a wide range of appliances and materials that are no longer in use and hence discarded. According to the American Iron and Steel Institute (AISI), steel forms the most recycled material worldwide. Other widely recycled metals are aluminum, copper, brass, silver, and gold. The recycling of scrap metal endows vast economic and environmental benefits to buyers, sellers, and end users. In terms of environmental benefits, it is useful in diverting metal scraps that would be otherwise discarded in landfills. Over time, these metals may seep into the soil and nearby water bodies and contaminate the environment. This would also lead to an increase in carbon footprint. The economic benefits of recycling involveignificant cost savings that metal producing companies would otherwise need to shell out in acquiring metal from ores for production. In addition, recycling helps recovering expensive metals and rare-earth elements found in electronic waste. One of the largest sources of scrap metal is the automotive industry. Driven by the large financial and environment imperatives of recycling, the supply chain of the metal recycling market is fairly streamlined. The collection process is largely hierarchical, with several unorganized scrap collectors picking up small quantities of scrap and selling them to scrap yards. Massive community recycling programs in various regions help in streamlining the entire process. Big commercial generators of scrap metals and some waste management companies take the responsibility of managing the entire recycling process. These yards then sort the metals and send them to recycling companies, such as ArcelorMittal and Aurubis AG. These companies shred the metals, purify them, and turn them into semi-finished or finished goods completing the recycling value chain. What users will gain from this report on the global metal recycling market is an in-depth insight into what makes the market tick. This involves several aspects such as the market’s key drivers, future opportunities, regional orientation, and most importantly, the competitive positioning of a player. 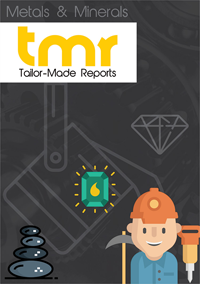 The report materializes these concepts into hard facts and figures that are sure to strengthen the knowledge on the global metal recycling market that a user may hold. The global metal recycling market generates a large portion of is demand and revenue through the fact that the demand for metal is increasing at a fairly fast pace while the overall stockpiles of ores are steadily reducing in volume. The growing rate of obsolescence in the metal production industry coupled with the massive savings that a player can bring about by recycling rather than boosting production rates are also nudging the global metal recycling market in the right direction. Despite the above factors, the global metal recycling market is still being subdued in terms of growth by factors such as the unorganized manner of waste disposal which makes it difficult to segregate ferrous and non-ferrous metals from non-metallic waste. Efficiently separating the waste involves a greater expense that a lot of recycling companies find difficult to bear over the cost of the actual recycling itself. Over the coming years, a greater priority for waste segregation is likely to boost the global metal recycling market significantly. Asia Pacific has not only shown a high rate of adoption of metal recycling practices, but is continuing to show a highly optimistic avenue of growth for all players associated with it. China, Japan, and India are currently some of the leading nations in import of scrap metals, making metal recycling a very high priority in these locations. The promotion of favorable international trade rules for easier import of scrap metal will make these nations even stronger in terms of providing opportunities in the global metal recycling market. This can be done with the help of impetuous government incentives and regulatory developments. A lot of scope is also seen for the global metal recycling market in the developed economies from North America and Europe, following the growing importance given to reducing the national carbon footprint. This is led to the implementation of several waste disposal and recycling laws, including metals as well. Of the several players linked to the global metal recycling market, the well-known entities included Tube City Inc., PSC Metals, Ferrous Processing & Trading Co. (FTP), Alter Scrap Processing, AMG Resources Corp., Joseph Behr & Sons Inc., Galamba Metals Group LLC, and Kuusakoski Oy.